Chiropractic care is used as a first step for those suffering from a variety of conditions. Whether you’ve had a significant trauma such as a car accident, have acute or chronic neck, mid-back or rib pain, low back pain, ongoing headaches, pregnancy related spine pain, a sport or activity related injury, chiropractic care is much more than just an adjustment to your spine, but it will very likely require that if indicated. A natural choice for managing injury and providing relaxation while moving the body toward wellness. Massage positively affects circulation and psychological well-being while reducing tensions and the effects of stress. It realigns joints and muscles, improves recovery time and is successful in resolving many chronic conditions such as headaches, carpal tunnel, back pain and neck injuries. Traditional Chinese Medicine and Acupuncture employs a range of modalities including herbal medicine, acupuncture, lifestyle and dietary consultation. It is capable of treating a wide range of disorders from chronic to acute including but not limited to pain, stress-related disorders, digestive disorders, etc. Recommendations such as dietary guidance as well as activity may also be prescribed. Acupuncture for facial rejuvenation is a natural, safe, and effective treatment option for health and beauty. By invigorating circulation, stimulating collagen production, and benefiting muscle tone it can brighten the face while reducing wrinkles and other aging signs. It can also reduce stress and tension in the facial muscles to maintain a healthy complexion and prevent premature skin aging. By supporting the constitution, each treatment aims at restoring health from the inside out to look and feel your best. Manual Therapy is a comprehensive therapy that aims to restore health and function to the body as a whole. Many systems in the body as possible are assessed to find what is behind the problem or areas of concern; some Osteopathy techniques are then used to restore health and function to that system. Some of the systems addressed include the musculoskeletal system, cardiovascular system, Nervous system, and the Viscera. Manual Therapy has methods and techniques for addressing fluids, organs, muscles/ and skeleton, and the cranium/ brain to restore function and improve health and vitality throughout the whole body. The manual therapy assessment is system thorough, checking the spine and structure for abnormalities, checking the organs for dysfunction, checking fluid flow and circulation, and assessing the overall physical condition. Although most assessment is “medical standard”; the manual therapy understanding of the body is quite different. We are not interested in treating the problem as much as we are in finding and dealing with what caused it, which is where healing begins. Manual Osteopathic Practitioners are trained to communicate with the body to then treat the systems using the most appropriate and effective method the condition requires; which could be a joint adjustment, nerve stimulation, muscle release, organ manipulation, etc. Some common problems treated include: Sciatica, Arthritis, Nerve pain, Back/Neck pain and stiffness, Carpal tunnel syndrome, Tendonitis Osteoporosis, Edema, circulatory problems, whiplash headaches, anxiety, fatigue, digestion issues, IBS, menstrual pain, cramping. Relaxation Massage provided by our Massage Wellness Practitioners can decrease fatigue, decrease pain, and leave you feeling energized, feeling relaxed and rejuvenated! These massages are provided by graduates of the Registered Massage Therapy program. As these practitioners are still waiting to write their RMT board examinations, they are not yet fully certified and their services are not eligible for extended health insurance benefits coverage. Take advantage of this great opportunity to come in for a massage at reduced rate! Note: This service is not covered by extended health insurance plans. Shockwave works to harness your own body’s innate ability to heal itself. The “shock” in Shockwave Therapy does not refer to an electrical current, rather it refers to an impact wave that travels extremely quickly through your tissues. The shockwave causes cavitation (creation and popping of microscopic gas bubbles) in the tissue, imparts a deep vibration, increases circulation, physically breaks down adhesions and scar tissue, and evokes a complicated series of biochemical reactions all to wake up your body’s own healing mechanisms. Our orthotics are produced using a gait scan, a computerized step analysis that generates hard data to which not only pressure points are important, but more so the timing and order of how your foot contacts throughout your step. This is a very effective tool that reduces the reliance on error prone impression techniques or distracting video analysis. Timing and order of your step cannot be observed by video analysis. The orthotic that is built is fully customized and customizable. That means that not only is the basic contour specific to your specific requirements but that any necessary postings, cushioning, and unique topcovers can be added. BodyTalk is a revolutionary whole Healthcare system that is based on science, including, quantum physics and uses non-invasive techniques to reach a state of well-being. BodyTalk re-establishes communication in the body, mind & spirit at a cellular level, focusing on the body's priority for healing, rather than focusing on symptoms. During a BodyTalk session, the practitioner facilitates communication with the innate wisdom of the body by using neuromuscular biofeedback. BodyTalk harmonizes the body systems, so that the body can then heal itself. While BodyTalk does not diagnose or treat specific ailments, clinical experience has shown that once overall systems are balanced through BodyTalk, clients have experienced significant improvements in the areas of; reducing stress, fears and emotional issues, headaches, digestive disorders, endocrine disorders, viruses, allergies, arthritic pain, chronic pain, injuries and chronic fatigue. BodyTalk is an excellent complement to other healthcare, such as chiropractic, massage, physiotherapy and acupuncture. Holistic nutrition is a growing field that connects the mind, body, and spirit. It is relevant to an individual as a whole and works to bring balance to all areas of their life by observing dietary intake, supplements, and lifestyle. 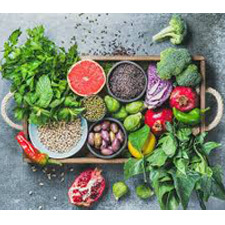 A Holistic Nutrition consultation includes Assessment of Lifestyle Forms and NSP Forms, a written explanation of your body system imbalances, pertinent handouts, recommendations of key ingredient, upgrades, basic supplements and lifestyle & psycho-spiritual connection. Reiki, pronounced, “Ray-Kee”, is an ancient healing method that promotes physical well-being but also has a positive effect on emotional and spiritual equilibrium. A Reiki treatment leaves you feeling refreshed, relaxed, clearer and content. Reiki helps to replenish your vital energy, strengthen your immune and can promote wellness of many ailments.